Product prices and availability are accurate as of 2019-04-19 22:53:24 EDT and are subject to change. Any price and availability information displayed on http://www.amazon.com/ at the time of purchase will apply to the purchase of this product. Please check the ISBN that your instructor provided. If the ISBN-13 does not match this product (9781305396258) or its Printed Access Card equivalent (9781305396265) this may not be the correct product. In some cases, you may also require a course code from your Instructor. MindTap for Berns' Child, Family, School, Community: Socialization and Support, 10th Edition provides you with the tools you need to better manage your limited time – you can complete assignments whenever and wherever you are ready to learn with course material specially customized for you by your instructor and streamlined in one proven, easy-to-use interface. With an array of tools and apps – from note taking to flashcards -- you’ll get a true understanding of course concepts, helping you to achieve better grades and setting the groundwork for your future courses. This product requires a Course Key from your Instructor to fully activate. Please consult your Professor or class syllabus for the specific Course Key. 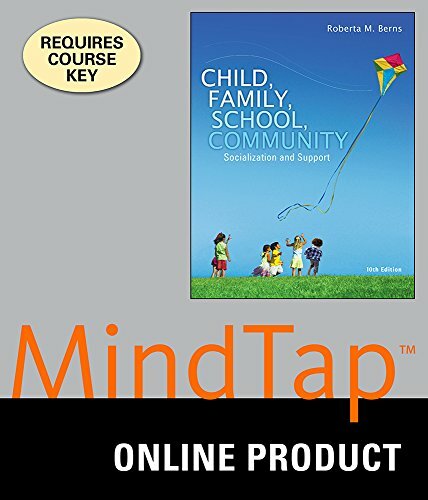 ISBN: 9781305396258 Access to this product is valid for 180 days of usage. After this period, this product can be viewed under the "view expired" link in your CengageBrain account.